Today’s IT Executives face the challenge of delivering technology that enables and even shapes business strategy. They understand that IT is critical to their company’s success, but in large organizations with thousands of employees, the number and complexity of projects can be daunting, and there are no easy answers. The best way to see the big picture in IT is to structure and monitor projects so that not only can each one can be tracked, but also so that the aggregate data comes together in a meaningful way. Project.net gives you the tools to structure, track and assess projects; how exactly you do that depends on your organization’s needs. Which active projects are most at risk? Who are my strongest project managers? Which projects could benefit from additional resources? How much value did the IT department deliver last quarter? How would my organization be affected if I had to reduce the budget? How would my organization be affected if I could increase the budget? 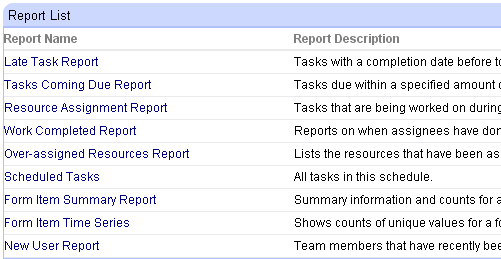 How should we assess cost of and prioritize requests that require IT resources? We also recognize that there is a point of diminishing returns with regard to gathering and analyzing information. Project.net can help you find the “sweet spot” so that you can collect and aggregate information that will help your company get better value from your IT budget. Create project templates. We have examples that you can tweak, you can create new templates, or you can even create templates that match existing processes and tools. Different projects can use different templates, but make sure they have the common elements you need to roll them up into meaningful information. Train project managers to use tools, and empower them to train their team members. Design templates to make adoption easier, and allow some time for people to adjust. 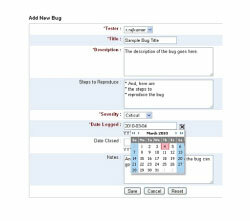 Try to implement new templates with an eye toward more efficient processes. Use things like default values wisely to make it easy for team members to adapt. Conduct regular portfolio reviews to glean information from aggregate and project data, and to refine system to provide better information. IT Executives also need tools to manage the never-ending flow of requests for enhancements to existing systems and non-project work in a way that uses resources effectively and does not threaten the progress of funded IT projects. Our high-level portfolio scoring and resource management modules provide the tools you need to manage the queue while keeping your projects on track.